The ZODIAC CH 650 (and the earlier ZODIAC XL model) feature a spring main landing gear system. 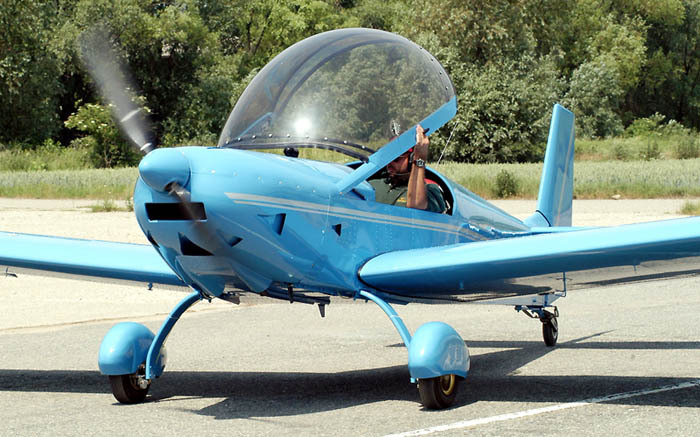 The standard tricycle gear provides effective ground handling and allows for excellent forward visibility while taxiing. The heavy-duty tricycle gear system was chosen as the standard gear configuration for the ZODIAC to meet the needs of todays pilots: Most pilots are not experienced taildragger pilots, and a tricycle gear provides better stability and control on the ground. (A taildragger gear option is also available). The ZODIAC utilizes a sturdy gear system to allow grass-field operation. 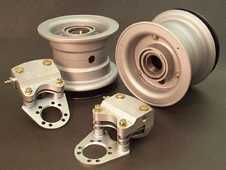 The main gear comprises of a simple single-piece aluminum spring leaf which is bolted to the bottom of the fuselage. 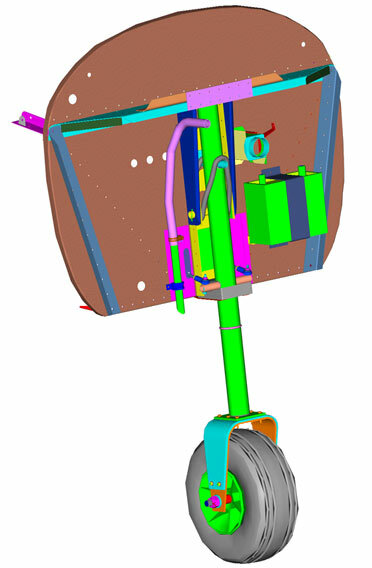 The single carry-through main gear provides double cantilever deflection. The main gear is fitted with large tires equipped with independent hydraulic disk brakes. The main gear is equipped with high-quality and lightweight 500x5 aircraft wheels and hydraulic brakes. Optional fiberglass wheel fairings increase aerodynamics, and give the ZODIAC a sleeker look. The ZODIAC's direct linkage steerable nosewheel, plus differential braking, provide remarkably precise ground handling and steering. The quality wheels, rugged gear and good take-off and landing performance make the ZODIAC well suited for grass-field operation. The new fiberglass Wheel Fairings Option Kit increases the aerodynamics of the ZODIAC. The new wheel fairings are narrower in width than previous Zodiac fairings, and are easier and quicker to install. Click here for additional details. 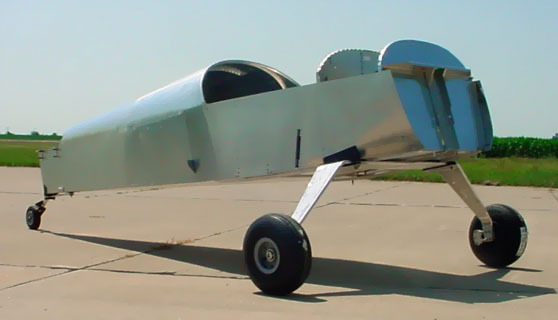 The ZODIAC can also be equipped with a tailwheel gear configuration. 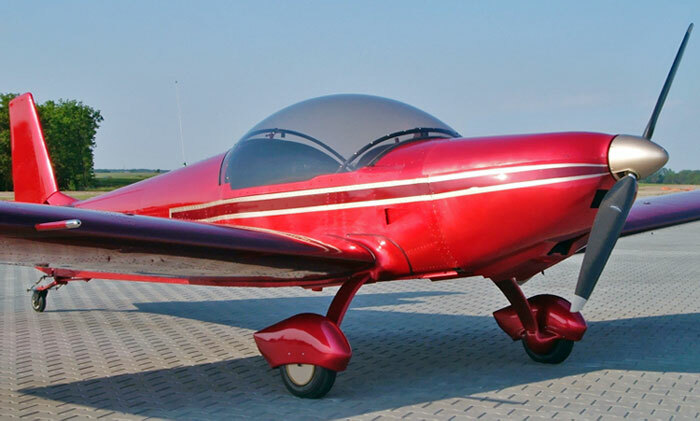 There is no additional charge for the tailwheel gear configuration kit option as it replaces the standard tricycle gear supplied in the kit. Click here for additional information and photos. Note: The standard wheels supplied is the kit are 500x5 size. Larger 600x6 wheels may be purchased instead of the 500x5 wheels.